My grandchildren just love to play in the leaves! I don't mind cleaning up after them. "Just dropping this here to get the contest started. " A puzzle (not really) to solve (by solve I mean step on the switch but oh wait you need to find a way to walk across the lava on the left side; you could use the item of the dungeon but this is just an image and not a full quest soooo yea it's unsolvable (vote anyway)) by (me) Joelmacool. I actually voted for Joel in spite of me entering. I've always liked that look within Pure, and he does a good job at showing depth. Another good turn out. I'm shocked and appalled that PureZC produces their SotWs with chemically unseparated Anthus. I actually voted for Joel in spite of me entering. You're going to be so pissed when he wins by one vote. Anyway, I went ahead and undid that. Jared - what a bad grandparent. Who knows what might be in there and if they are old enough to take the risk they should be also old enough to clean up after themself! Voted here nonetheless. Feenicks - a great screen, like it a lot. Is it going to explode? Anthus - just dropping this here to not leave him out. Joelmacool - I like the colors, but not their use/combination. Not that I really dislike them though. Otherwise great screen. Could you expand of this please? I'd like to know what bothers you about the colours. I like the red with the black and blue, they make each other stand out. Maybe a bit too much, the colors divide the screen for me. I am not sure about that though. I don't like the lava in this red. Maybe it looks better animated, but like this I am not a fan of it. I am also not a big fan of black walls. It honestly is rather a thing of personal taste. But, in the same explanation you said that you like "red with the black and blue" and then you say you don't like the "red" and you're not a fan of the "black walls". Jared - Very nice work here, I'm definitely a big fan of the cool leaf piles you have on the bottom-right. 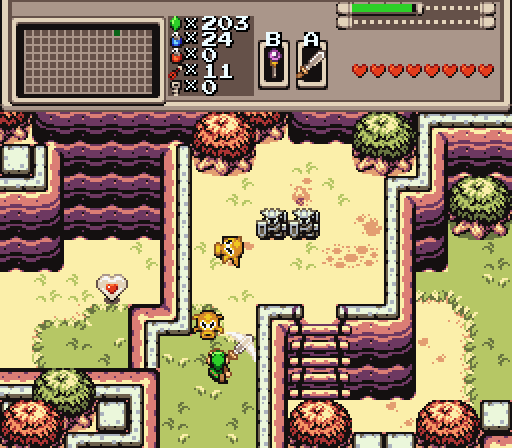 I also really like how the grass grows into the mountains near the top of the screen, that's very nice. Feenicks - Pretty nice shot, your Firebird work is always quite good. This one feels a bit empty to me IMO, probably more bushes or grass could help. Nice work anyway. Anthus - This looks really good, and I'm sure I've seen this elsewhere. Did you make these tiles yourself or get them from somewhere else? They look really nice and makes the screen look quite unique. I also like the theme you're going for here. Joelmacool - I really like the depth you have in this shot, with the higher and lower floors, something I haven't seen done in quite a bit of time with this tileset. 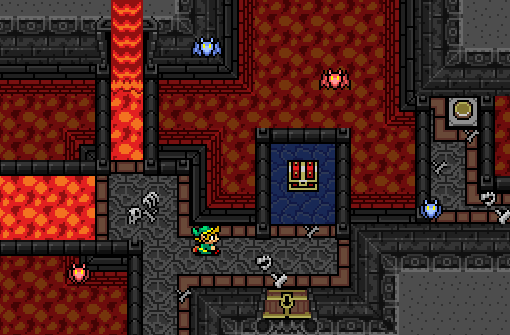 I noticed an error on the far right, you seemed to have used the wrong shade of red for the lava tiles since they were meant to be on the higher floor. Other than that though, this looks really good. I went for Anthus this week, but Joel was a close second for me. I am really bad at imagining. Like spinning a geometrical form in my head. It's similar here, I can see that I like the colors, I am not fully satisfied with what I see though. 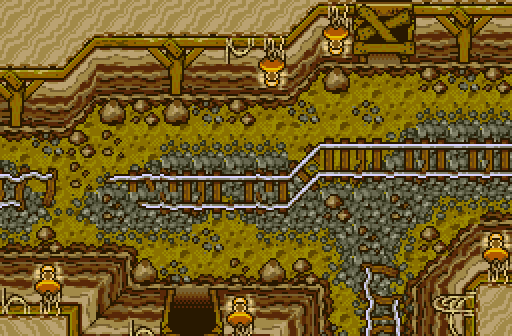 Maybe other lava tiles? Or another lava color? Or same colors but lasers instead of lava? I simply can't imagine it well enough. Edited by Naru, 31 October 2017 - 09:02 AM. I voted Jared, some slight colouring issues but it didn't stop me from voting for this amazing screen. Second is Joel's screen, I like the colours which bring contrast and the structure is definitely unique. The other shots are great too, good job! Great turnout this week! Was a bit tough to decide, but I ended up voting for Jared, with Anthus as a close second. I really like the structure and overall "feel" of Jared's screenshot. Regardless, great job to everyone! I wish I made these. These are from "Gunple: Gunman's Proof". 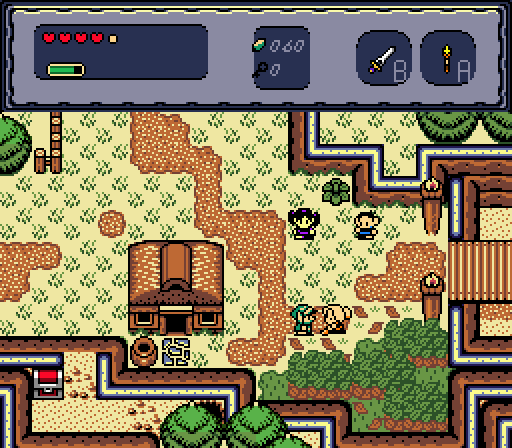 A Japan only LttP clone with shooting mechanics. It's a fun game but kind of simplistic and repetitive at times. The only thing I drew were the boards on the door on the north wall.